SecuGen Hamster Plus is the improved version of SecuGen's popular and versatile fingerprint reader product line, with Auto-On™ and Smart Capture™. Packaged in a comfortable, ergonomic design, the Hamster Plus features the industry's most rugged and advanced optical sensor using patented SEIR fingerprint biometric technology. Auto-On™ is an Automatic Finger Placement Detection technology that automatically checks for the presence of a finger. When used with Auto-On-compatible software*, the Hamster Plus will turn on and scan your finger as soon as you touch the sensor - all without having to prompt the system. Smart Capture™ ensures quality fingerprint scanning of difficult fingers. By automatically adjusting the brightness of the sensor, Smart Capture allows the Hamster Plus to capture high quality fingerprints from a wide range of traditionally difficult fingers, including those from dry, wet, scarred or aged skin, and even in bright ambient conditions such as under direct sunlight. 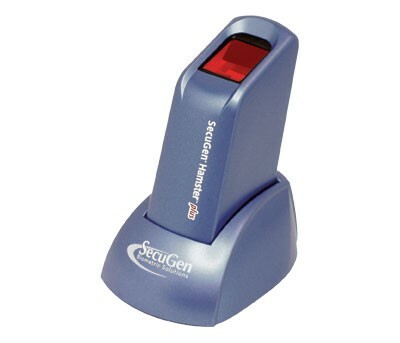 SecuGen Hamster Plus can be used for authentication, identification and verification functions that let your fingerprints act like digital passwords that cannot be lost, forgotten or stolen. Check with your software provider to ensure that the software works with Auto-On. 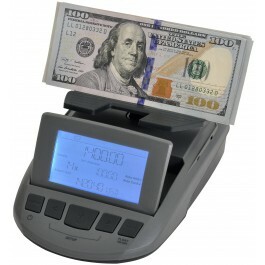 SecuGen peripherals are easy to use and can be installed quickly on any Windows PC. Backed by the industry's best warranty, years of field use and proven reliability under extreme conditions, SecuGen peripherals provide consistent performance and security for a growing number of software applications for desktop, network, enterprise and Internet environments.